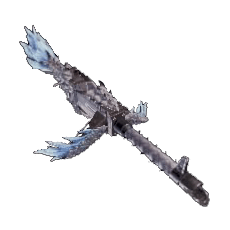 Xeno Jiiqa is a Heavy Bowgun Weapon in Monster Hunter World (MHW). All weapons have unique properties relating to their Attack Power, Elemental Damage and various different looks. Please see Weapon Mechanics to fully understand the depth of your Hunter Arsenal. Xeno Jiiqa has No different upgrade levels. It follows the Bone path, detailed below. Xeno Jiiqa is part of an upgrade path for the Heavy Bowgun Weapon Tree. Below is an excerpt of the relevant Xeno'jiiva tree. It’s alright. Pieces of the armor set are far better for an end game HBG build than this one which is pretty lack luster behind other options that pair well with the armor. i&apos;m low-key pissed that the xenojiva weapon, the END TIER WEAPON in the bone tree, which is primarily wyvernsnipe, is a wyvernheart weapon.